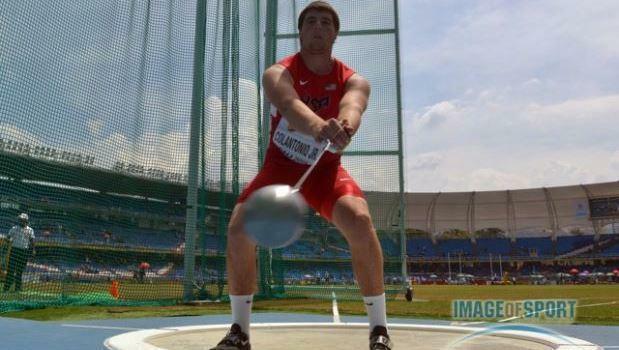 Former Barrington High teammates Bobby Colantonio and Adam Kelly qualified on Wednesday for the finals of the hammer throw at the IAAF World U20 Championships in Poland. Colantonio finished fourth in Group A and tenth overall with a heave of 71.0 meters (232 feet, 3 inches). Kelly was sixth in Group B and 11th overall with a distance of 70.98m (232-2).. Owen Russell, a 2015 Moses Brown graduate, nearly made it three for R.I. just missing qualification into the finals with his toss of 70.34m (230-2.5), good for 13th overall. Russell, who was competing for Ireland, was just .30m from the final qualifying spot. The finals for the hammer will be held on Thursday at 2 p.m. EST.